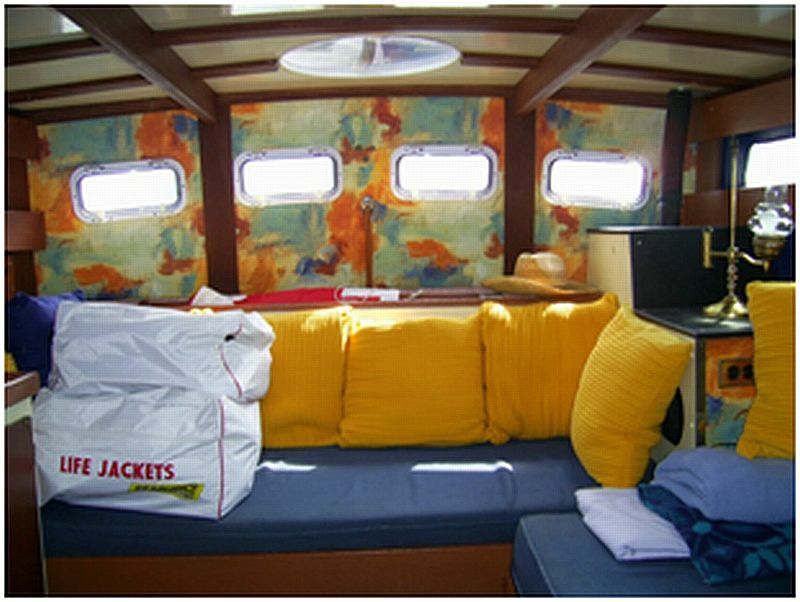 A new listing: a beautiful Tri-Cabin Trawler. 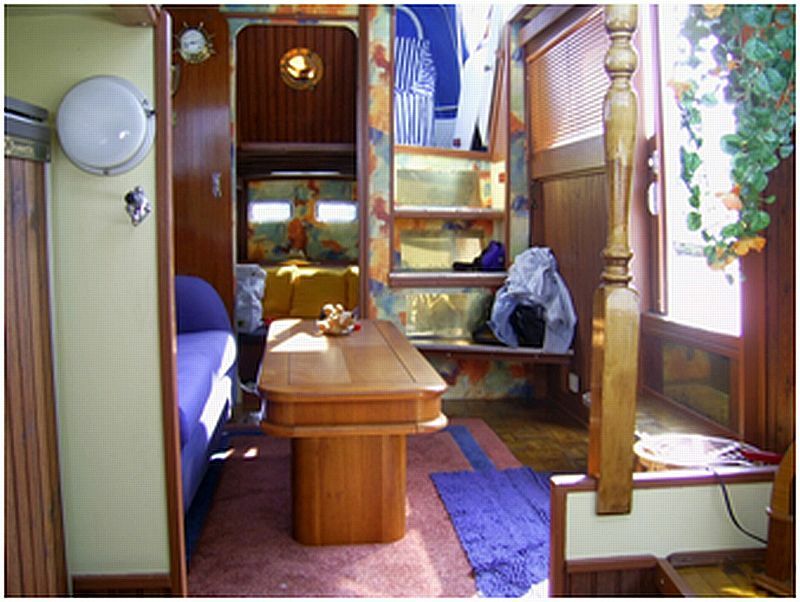 This handsome classic trawler makes a wonderful economical cruiser or a virtual floating cottage! 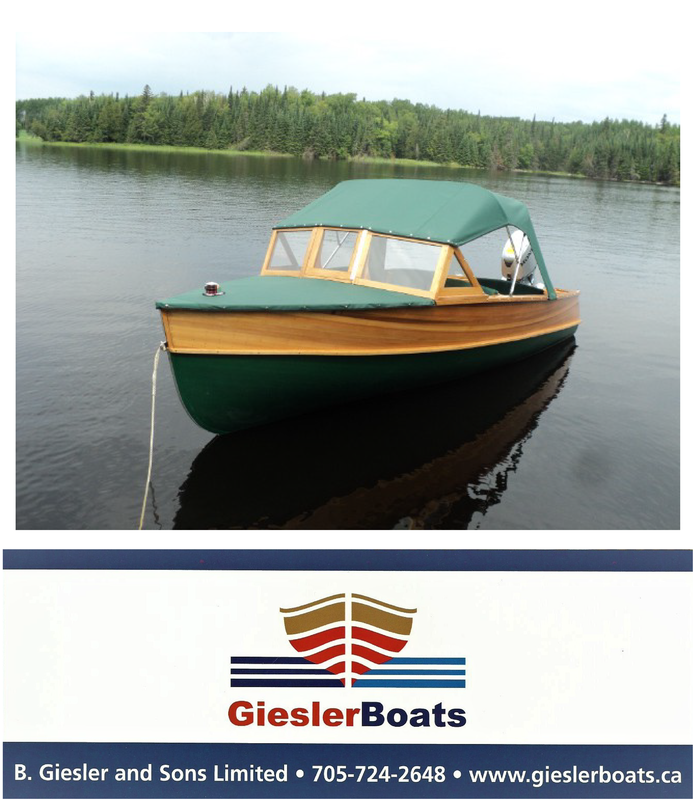 This wooden vessel is built with a raked stem and round bilge with a flat transom and swim platform. 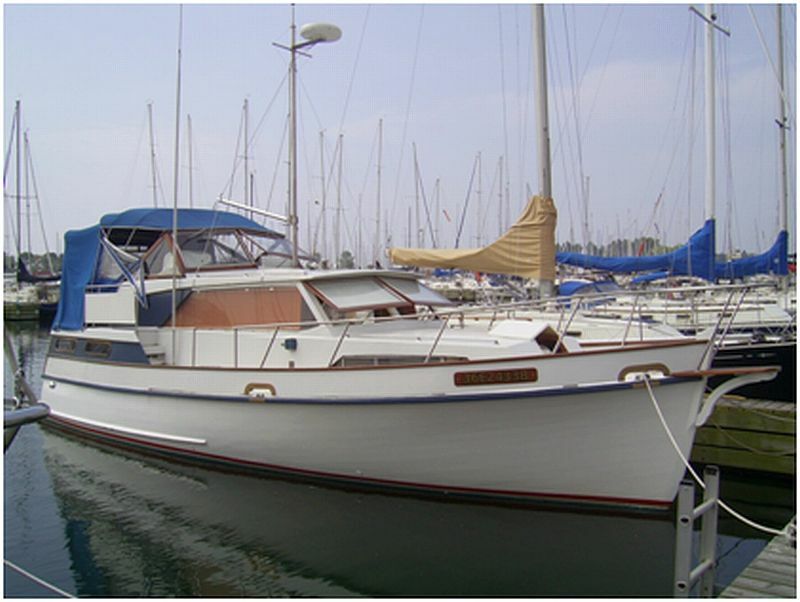 The keel is full length with an opening for propeller protection and rudder support. 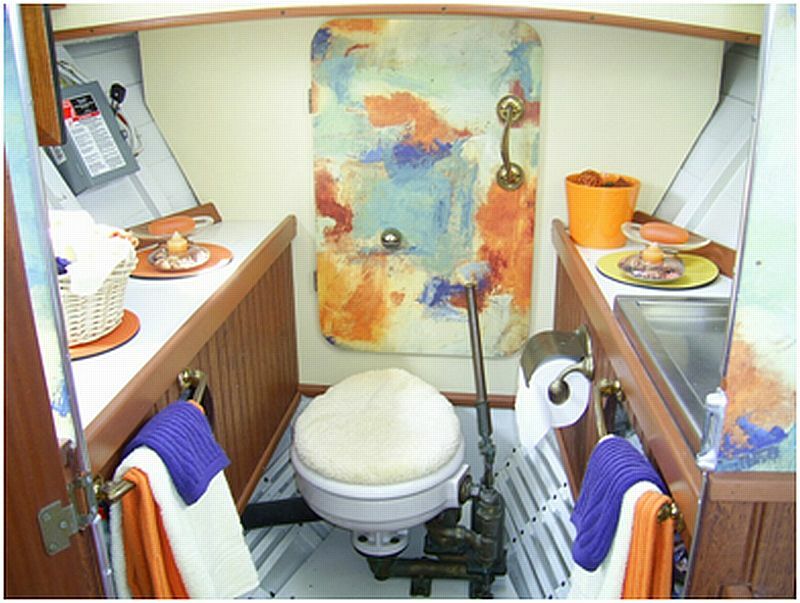 The deck is built with short bulwarks and safety lines, raised cabin runs from the stern towards the bow leaving a short for deck. 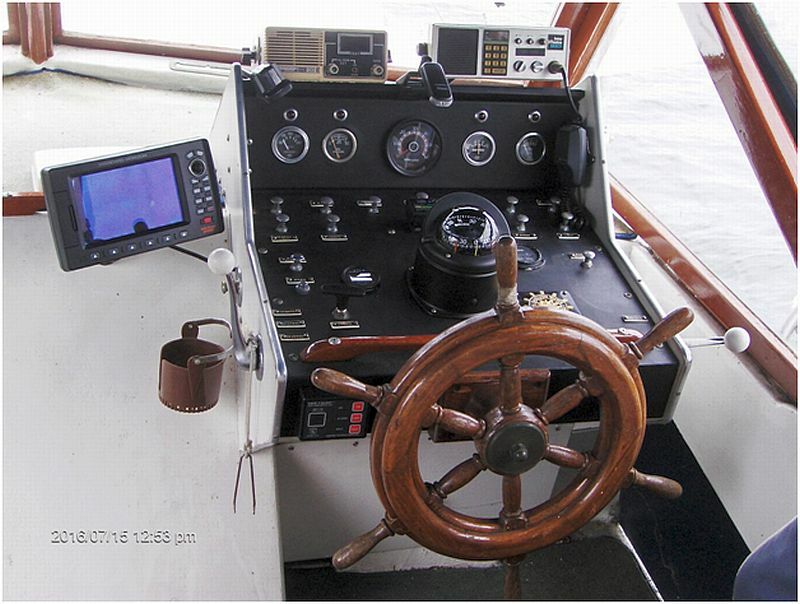 On the after part of this raised cabin is a bridge deck for the open helm station. 7. Trailer: use VanTuyl marine transport to and from winter storage. 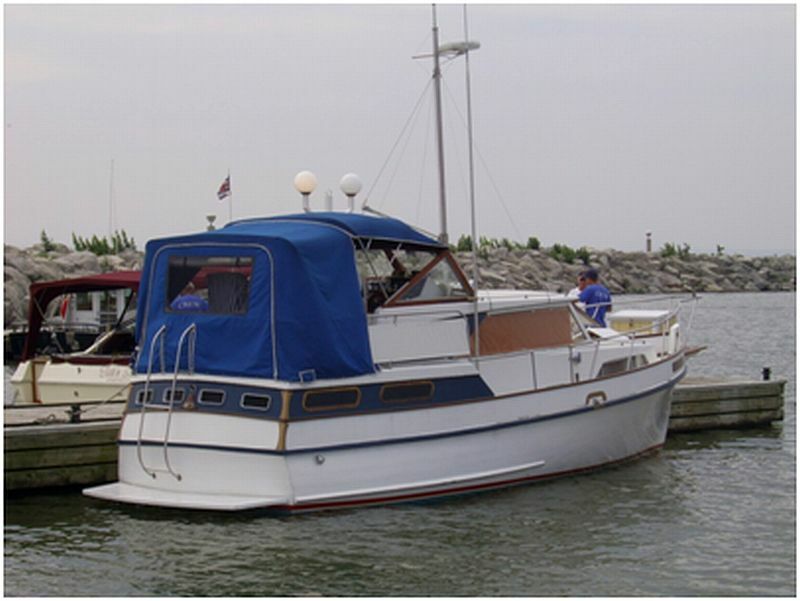 Located at Gord Smith Marine, Hwy # Flamborough (Dundas) Ont. (905) 628-4433. 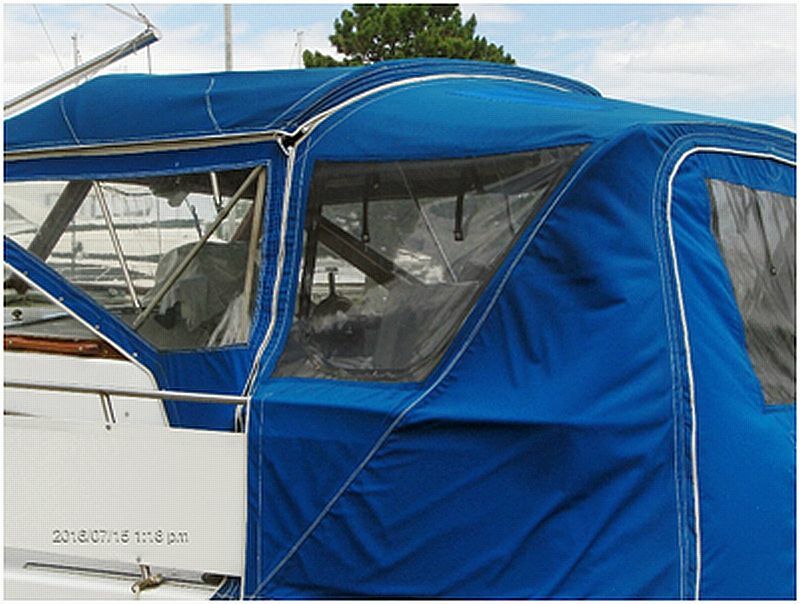 For the full “specs” on this boat, additional photos and contact information, please click on the link Ad number pb710 (Additional photos below).